Blog > Cannabis Education > Health & Wellness > Can Cannabis Skin Care Be the New Fountain of Youth? 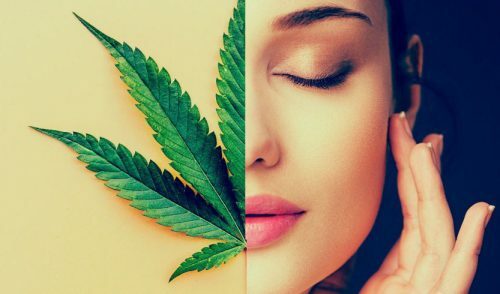 Can Cannabis Skin Care Be the New Fountain of Youth? Beauty, they say, is only skin deep. But there’s very little doubt that attractive skin begins below the surface. 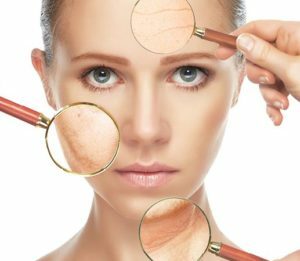 Simply put, if you want to look great on the outside, you have to nourish the dermal layers on the inside. For centuries, people have used a variety of lotions, balms, and ointments to cleanse, hydrate and rejuvenate the skin. As a result, there are countless products claiming to erase wrinkles, open pores, and counteract acne. Now you can add a new kind of skin care solution coming to a beauty counter near you that’s showing real promise—cannabis topicals. Trisha is a twenty-something mother of two. Since teenhood, she’s suffered from cystic acne, a severe skin disorder which can often leave permanent scars. Doctors can’t pinpoint a single factor causing it, but believe it’s due to several factors like hormonal imbalance, poor diet, and stress. As you’d expect, she tried all of the usual prescription ointments and oral antibiotics, even a low-glycemic diet, but nothing seemed to clear up her acne. Then a friend told her about cannabis-based skin care products. At first, she was skeptical; Trisha didn’t want to get high, she just wanted healthier skin. But after researching and reading respected studies showing cannabis topicals are a safe, all-natural alternative to prescribed steroids, she grew optimistic. At first blush, pairing marijuana and skin care may seem like a stretch. After all, smoking is the first thing people associate with reefer, and inhaling hydrocarbons won’t do your skin any good. But topicals can do your skin a whole lot of good! 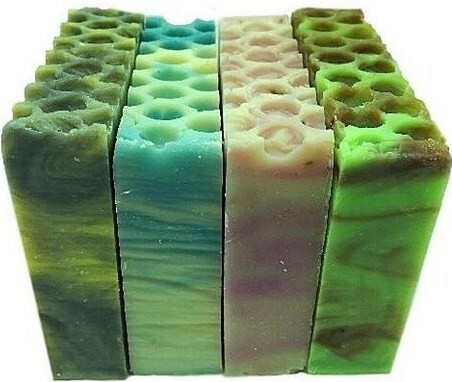 They’re made with organic herbal ingredients and oils that leave you feeling fresh and rejuvenated, not buzzed. Their cannabinoids, the chemical compounds contained inside cannabis, work wonders in skin receptors, producing antimicrobial, anti-inflammatory, and anti-aging properties. So applying cannabis oils, creams, sprays or lotions could improve your complexion. Scientists are discovering that cannabis-based topicals promote healthy lipid production, critical to regulating dry skin and counteracting many skin epidermal disorders. In a landmark study, Dr. Gerald Weissmann noted that the human body naturally produces a form of THC that appears to play a protective role on the cellular level. According to Weissmann, “research shows that we may have something in common with the marijuana plant. Just as THC is believed to protect the marijuana plants from pathogens, our own cannabinoids may be necessary for us to maintain healthy skin and to protect us from pathogens.” The findings have led scientists to explore how cannabinoids might be harnessed to treat many common skin disorders. 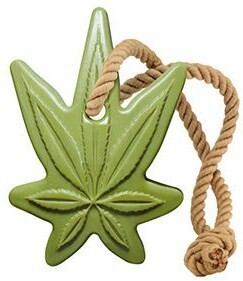 Oil derived from marijuana’s close cousin, hemp, is widely used in shampoos, lotions, and other body care products. That’s because hemp is especially rich in omega-3 and omega-6 fatty acids, which are known to promote healthy skin and hair growth. These fatty acids complement cannabinoids by providing moisture and protection against damage caused by sun or dryness. Together hemp and cannabis products offer a powerful one-two combo reinforcing the effects of the other. Understanding the chemical makeup of these two herbs and how they interact with human biology can help you appreciate why using them together is so beneficial. Cannabinoids can slow down and, in some cases, reverse the aging process. Virtually every organ in the body, including the skin, is suffused with endocannabinoid receptors. That means cannabinoids like THC and CBD can bind to these receptors in the dermis and work their therapeutic magic. 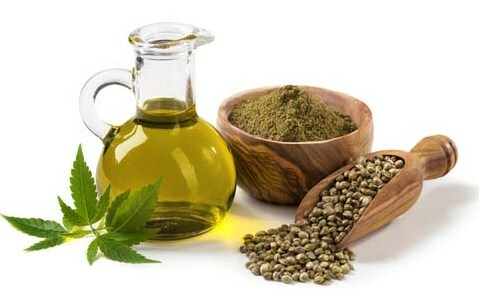 According to anecdotal reports, cannabis’ optimum skin care benefits come when combined with hemp seed oil. Some reports even suggest that these oils heighten sensitivity in the female genitalia when used as lubricants to enhance pleasurable sensations and extend orgasms. While you may derive some advantages from consuming edibles or drinkables, topicals are still the most effective mmj skin care products because of their direct contact with the affected area and their natural healing properties. Skin damage can be caused by a number of factors. UV rays, exposure to hydrocarbons (in the form of smoking), environmental pollution, and simple aging can precipitate the loss of collagen and the natural oils that keep your skin smooth and elastic. Cannabis is loaded with antioxidants, even more so than vitamins A, C and E. As a result, it’s packed with the “free radical scavengers” that help prevent and repair genetic damage at the cellular level. Bottomline: cannabis topicals can remedy the effects of aging and help prevent skin cancer. Inflammation is behind many irritating, painful, and embarrassing skin conditions. However, both THC and CBD are some of nature’s most powerful anti-inflammatory agents. Consequently, when they bind to cannabinoid receptors in the skin they can help reduce swelling, puffing, and pus beneath the surface. Cannabis also antimicrobial properties, which can combat fungal and bacterial infections that give rise to conditions like acne. Scientists believe melanomas are caused when harmful UV rays damage DNA in the skin, which leads to the genetic errors that underlie tumors. 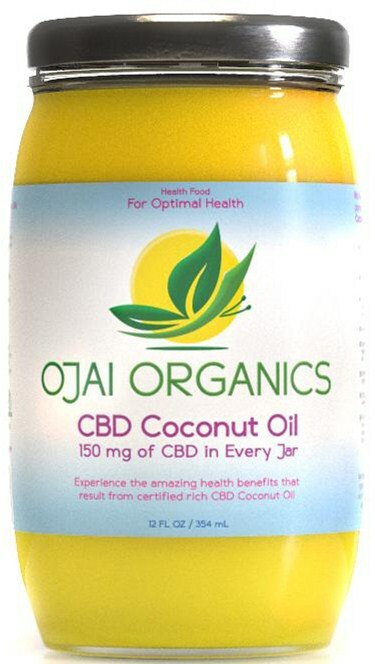 However, the omega-3 and omega-6 oils in hemp add a moisturizing and protective layer that helps block the sun’s UV rays. In addition, the THC and CBD in cannabis neutralize the harmful effects of free radicals that cause cellular damage. According to neurologist Dr. Ethan Russo, “Cannabis is the single most versatile herbal remedy, and the most useful plant on Earth. No other single plant contains as wide a range of medically active herbal constituents.” So it’s no surprise that mmj topicals can be used as daily moisturizers, washes, exfoliants, and relievers of muscle tension and soreness. 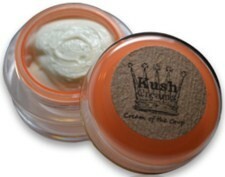 While smoking cannabis provides some positives, the only real way to harness cannabis’ skin care benefits is to apply infused topical lotions, creams, oils or tinctures. These cannabis-based topicals are poised to become the next generation of skin care, hardly surprising given the extraordinary therapeutic versatility of this all-natural herb. Cannabis topicals may not get you high, but they’re certainly taking skin care to a whole new level.